Whether it’s for the man or woman in your life, if they have a game console that they like to play and you know a game they would like it’s a great Valentine’s gift. I love the Telltale games, I’m loving the Batman one at the moment so I’d definitely recommend these games. This is a no brainer for Valentine’s Day, you either find a smell you like or you already know they like. 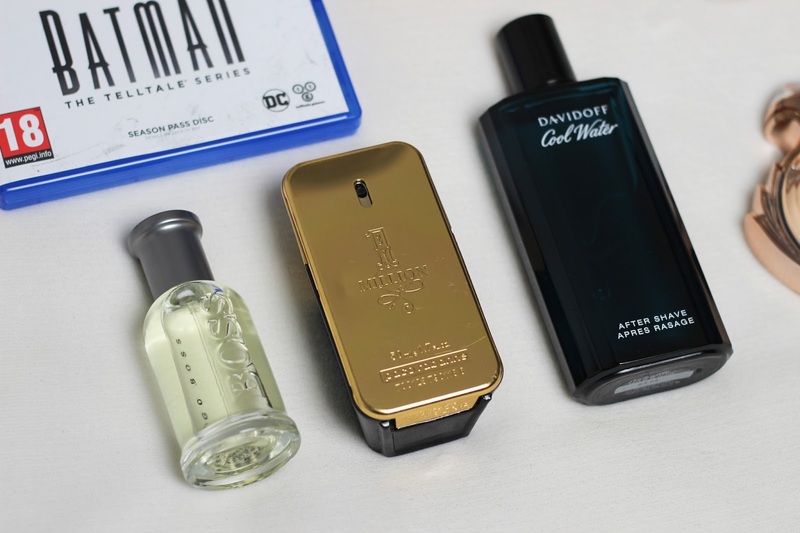 A few I like the smell of are Givenchy Play, Boss Bottled, Paco Rabanne 1 Million and Davidoff Cool Water. 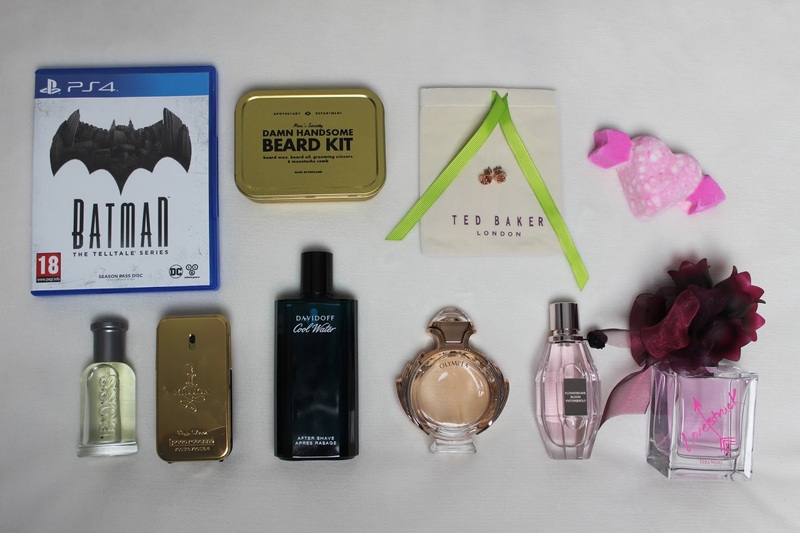 A lot of men have beards nowadays and this is such a good idea for Valentine’s, especially if you want to hint at the man in your life that his beard needs a tidy. 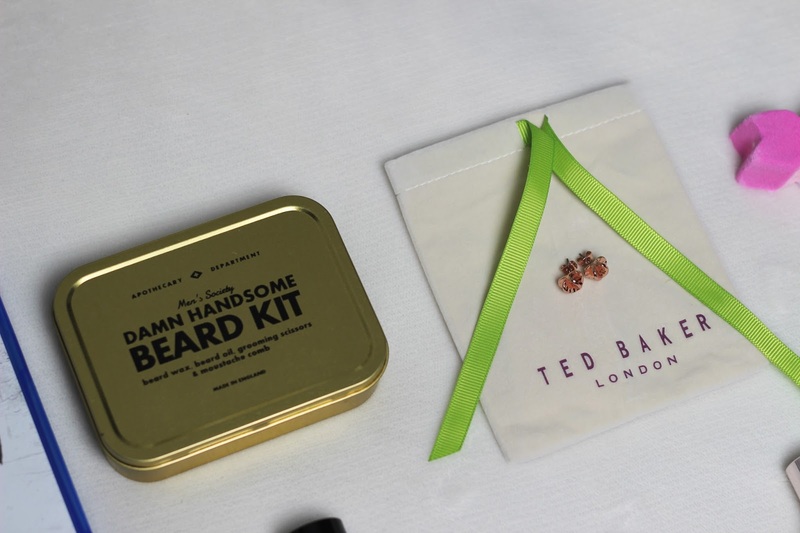 It contains beard oil, moustache wax, scissors and a comb that is shaped like a moustache. These rose gold Ted Baker earrings are gorgeous and they’re heart shaped, so perfect for Valentine’s Day. I personally love to receive jewellery as a gift and especially love rose gold! This is another no brainer for Valentine’s Day. I’ve included three of my favourites in the photos above. The first is Paco Rabanne Olympea, which is my absolute favourite, the heart note in this is Salted Vanilla. The second is Viktor & Rolf Flowerbomb Bloom, the heart notes in this are floral scents of Jasmin and Peony. The last is Vera Wang Lovestruck, the heart notes in this are tuberose and lotus blossom. All three of these perfume bottles are beautiful too. I don’t know many females that wouldn’t love to receive Lush products for Valentine’s Day. The Valentine’s range is wonderful, especially the Cupid bath bomb pictured and the Unicorn Horn bubble bar. What’s the best Valentine’s gift you’ve ever recieved?